Just two months after striking a major content partnership with Univision, Hulu is now doubling down on its Spanish-speaking audience within the U.S. The site announced this morning that it has brokered deals with 11 Spanish-language content partners. 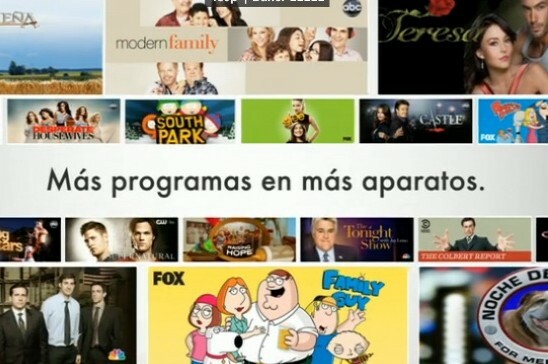 Content from these new partners, as well as existing partners, will be presented in a dedicated Spanish-language section on Hulu’s home page. Targeting the Latino audience makes a lot of sense for Hulu, as it is much more engaged with online video than many white viewers. Hulu’s new Spanish-language section, which is featured prominently on the site, so far only contains content from existing partners Univision, Galavision and Telefutura. Hulu Plus subscribers will be able to access entire current seasons of prime-time shows from these broadcasters, whereas users of the free Hulu service will have access to a more limited catch-up catalog on a next-day basis. Shows from new partners Azteca America, Butaca, Caracol Televisión, Comarex, Estrella TV, Imagina US, Laguna Productions, Maya Entertainment, RCTV, Todobebe Inc and Venevision will be added in 2012. [This] raises questions about whether the industry is doing a good enough job to reach out to its most engaged audiences. In other words: If Hispanics watch close to twice as many streams as white consumers, why aren’t there more video services or even web series specifically targeting this segment of the market? Looks like Hulu did its homework.